Curtain Room is a family run establishment which was founded in 1989 by Martin John Morris under the name Martin John Interiors and is still currently run by himself along side his son James Morris. It is situated in the historic quaker village of Bournville and has recently expanded and moved a few doors down to the corner of Mary Vale Road and Linden Road. 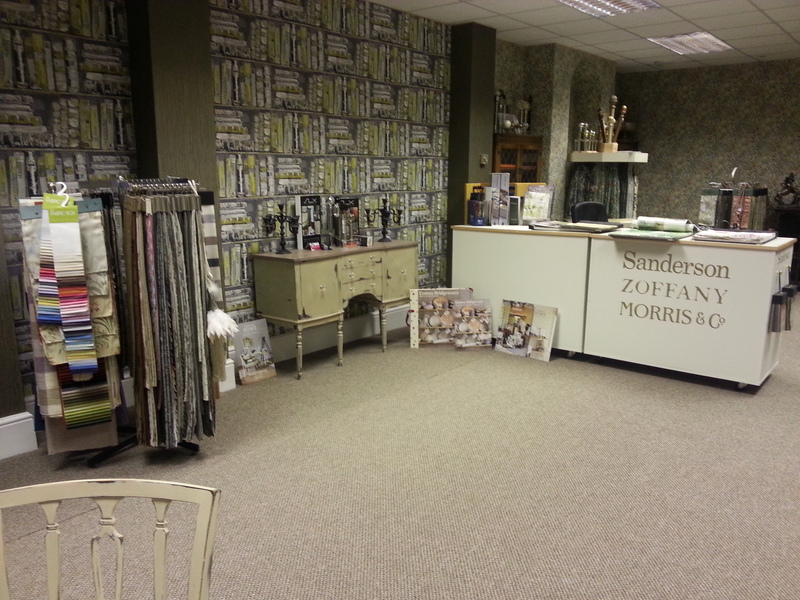 Producing quality made to measure curtains, blinds and now expanding into wallpaper they really do have something to suit everyones taste with a wide variety of upholstery and accessories options it's well worth a pop in for a informal chat and take a look for yourself. Martin Morris founded the company back in 1989 and with over 30years experience in producing and fitting made to measure curtains and blinds you won't find anyone much more experienced to help you decide what best suits your room. Martin does the home consultations and measuring service and also covers the fitting services as well. James Morris joined his father in the running of the shop about 6 years ago and has been an important part of the expansion of the business playing a major part in the recent move and is now the front of the business learning all he can from Martin. James is the one you will most likely first meet when walking into the shop. He can help you pick what sort of fabrics and patterns you like and produce you a quote once you have decided which beautiful material suits you best.